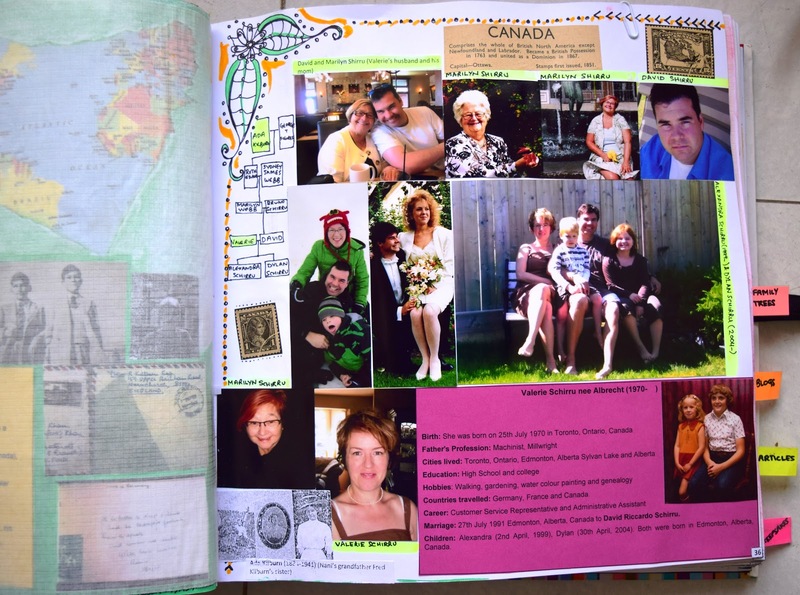 I am sharing my Genealogy Journal with you guys. The first 3 parts were introduction and My Pedigree where I dedicated a page to each of my siblings, parents, grand parents, great grand parents and great great grandparents. If you missed out on those, please find them in Genealogy section here. A section named ‘Important Finds’ follows where the most important finds from my Ancestry hobby have been dedicated a page. The first one is Robin Frederick Charles Kilburn who was the reason behind my interest in the subject. My nani Rosemary had lost contact with him for 50 years. She used to talk about him a lot and thus my whole search began for him around 2010. I had finally found him around 2011 in Mexico. Robin and we were all were very happy to have finally been reunited. Unfortunately, he passed away on 12th August 2015 which was a very big shock for us. Then comes my second most important find. A beautiful, lovely lady named Valerie Schirru who is herself a Genealogist. She lives in Canada with her husband and two kids and I found her through Ancestry.co.uk around 2011. The first time she shared her family tree with me, I was so impressed and inspired. I never knew a family tree could be so detailed and have so many people in it. She then shared an article she wrote with me called ‘The Kilburn Family’. I have also shared that article in this journal later on which I will be sharing with you. That article was what inspired me to make this journal. It was based on the Kilburn family which bonded us together. Each member of the family had a paragraph dedicated to him/her which summarized their life including lifestyle, age, hobbies, profession etc. This was the first time I had ever seen someone honor their gone generations in so much detail. 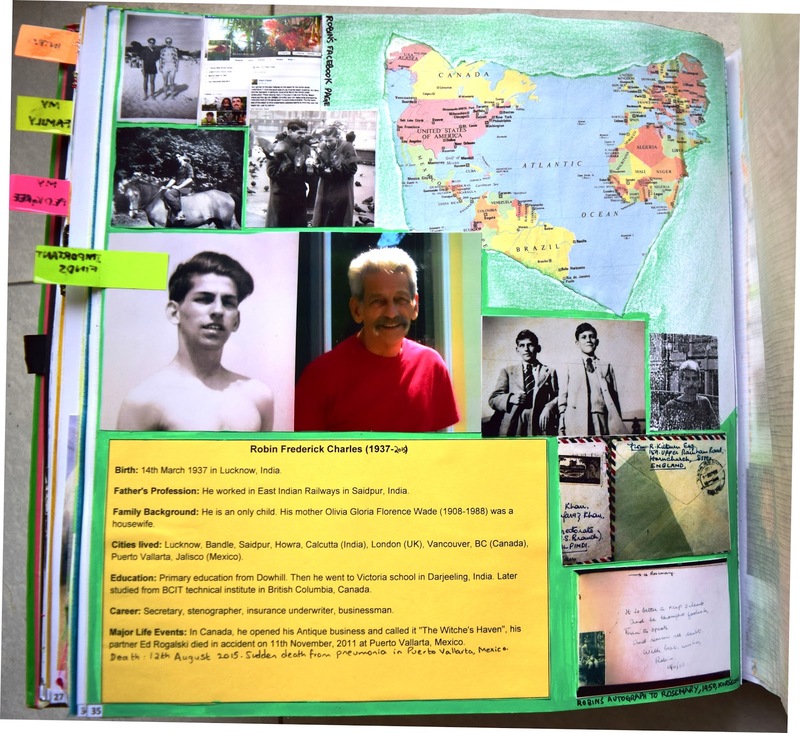 Reading that article inspired me to make a Genealogy Journal where I would try to include such details too. She was the one who got me in touch with Robin and other relatives. She is actually related to me through my grandmother Rosemary’s maternal grandfather Fred Kilburn. Fred Kilburns sister Ada Kilburn was Valerie’s husband David Schirru’s great grand mother. Although we are not very closely related but the bond that we share is amazing as she along with her in-laws were on the look out for their lost relatives in India. So when I got in touch with her, she and her family were over the moon as well. It feels great to have family and a home in that part of the world as well. We have already planned our family get together next time I visit my sister in Seattle. Valerie has promised me to fly all the way to Seattle whenever I plan that next. We are already excited about this. I had purchased the Ancestry membership in 2011 so I wanted to trace as many relatives as I could. I got in touch with another really friendly gentleman Keith Young who turned out to be our relative. Keith is quite closely related to my grandmother Rosemary. He is her uncles grandson. By uncle, I mean her fathers brother. He lives in Johannesburg with his wife and three kids. He is a grand father of beautiful girls too. He is an engineer by profession and has his own software companies. He retired last year and enjoys wild life in South Africa as well. He was very thrilled to have found us. He and his father used to wonder where his uncle Gerald William Young’s family went. So finding me was a surprise for him too. We have a good relationship now and we have our long emails every few weeks to know we are doing well. My nani Rosemary who literally had no one left from her side of her family now has relatives and she is ecstatic about it. She keeps asking me how Keith, and Valerie are. She used to talk to Robin through me a lot and exchange pictures. But sadly, that has stopped now. It is true that sometimes distant relatives/friends are much closer to you then your close relatives. Its not only about blood, its about the love and care we humans have for each other that really matters. We have one terrible side of our close family which we don’t even like to mention due to what they have done to us. But I’m so happy and thankful to God that in compensation to what they’ve been doing to us, I have found such amazing family in these 3 important finds through ancestry.co.uk. I am really very thankful to this website for connecting me with them.